Mystery Solitaire: Grimm's tales is rated 2.7 out of 5 by 15. Rated 1 out of 5 by HauntedDoll from Disappointing I've been looking for another "emerland solitaire" style game and this one doesn't come close in terms of challenge or visual style. It feels very dated. Rated 1 out of 5 by iou001 from Suggestion I got excited when I read that this game has 'spider solitaire, pyramid, hearts, klondike, free cell, crescent, golf and many more. ' Unfortunately I played for an hour and never saw spider solitaire, hearts, klondike, or free cell. 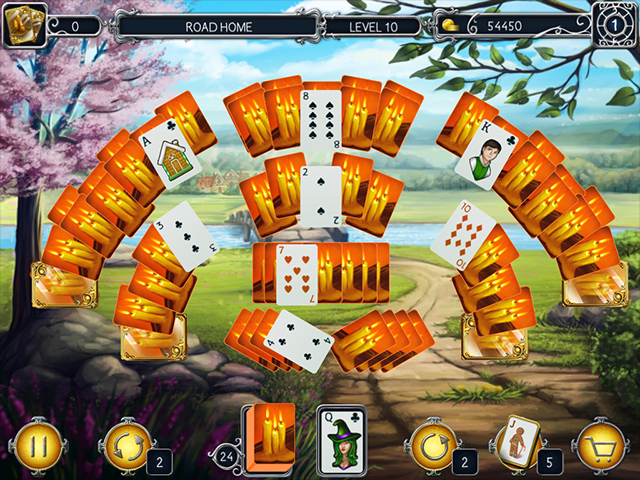 Those are my favorite solitaire games. I wish the developers would let you pick the games you want to play. Pyramid is my least favorite. Rated 1 out of 5 by Poipoi15 from Same old same old Same old unattainable 8th floor solataire game. Right from the git not enough cards, so why move on to professional. The only one by this company that is actually fun is Solataire Jack Frost, been playing that one for months and wanted a scenery diversion, just to be disappointed. How do they think we would pay to be frustrated!!. Rated 1 out of 5 by CyndiLouWho2 from Developer needs to step it up several notches Yes, colors are bright and crisp, and the music is not too bad. But that's where the "Yes" factor stops. 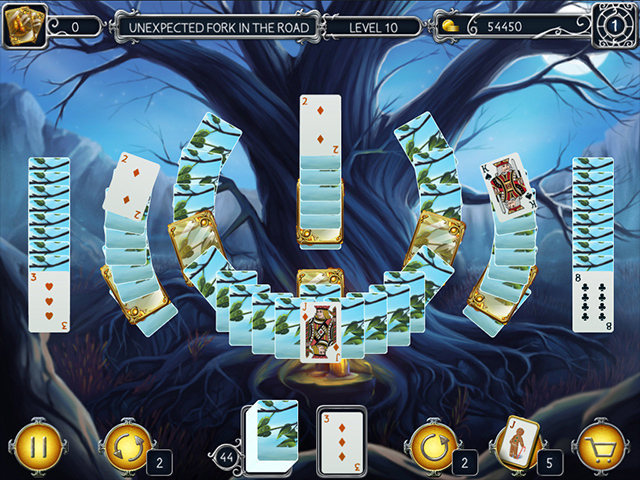 Once again, this is not a true Solitaire game, it's a match-a-pair-of-cards game. Not my favorite. And again, the intriguing title is just a title; and has nothing to do with the actual game. So, there is no mystery. Also missing is something to break up the monotony. There are no mini games or fun things to build or buy. There are no innovative or more helpful power-ups to buy. Only the bare bones Undo, Shuffle & Joker. And once again, you have to accumulate a lot of coins before you can purchase them. 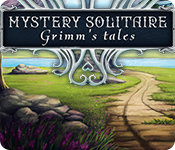 If you like simple, find-a-pair matching games, then you might like Grimm's Tales. 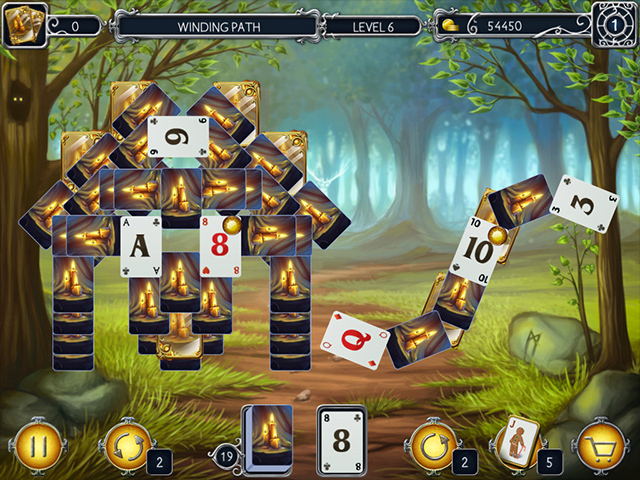 But as a seasoned Solitaire player, I found this game to be utter rubbish.